Dr. Eugene M. Goldberg is the Clinic Director at Wellness Associates, a chiropractor practice located in Pittsburgh, Pa. Dr. Goldberg has been in private practice servicing thousands of patients for 34 years. We take a holistic approach. Meaning in addition to chiropractic care, we also focus on diet, nutrition, acupuncture and allergies. We are specialists of the specialists. We do a unique technique in chiropractic that gets tremendous results. We treated a patient successfully who was “allergic to the 21st century.” Meaning he was allergic to 50 different substances/allergens. He was so allergic, he couldn’t go to school at all. He was referred into our office from a direct referral from another patient who also got tremendous results with our allergy treatments. Why did this patient come to your practice? What problems were they experiencing? He came to our office out of desperation, because several MDs from across the country were not able to help him. He was house bound do to the severity of his allergic condition. How did you go about diagnosing him or her? We do a specific technique called Allergy Elimination Technique(NEAT). This involves reflexes and Applied Kinesiology. It is highly specific and effective for diagnosing and treating allergies. What was the impact your treatment had on the patient? How did you help him or her? The impact of the treatment was that is changed his life for the better. Meaning he was able to go back to school, and get on with his life and his career. Today he lives a normal life in California, working two jobs! The thing about chiropractic is, in my opinion is you don’t choose chiropractic. Chiropractic chooses you! In my experience I was a chiropractic patient myself. Meaning I got tremendous results in my own case, so therefore I wanted to help other people also. I needed a career change at the time, and my own chiropractor encouraged me to attend Logan Chiropractic, which was also his Alma mater. Please talk about any ways you are trying to impact the community you’re a part of. I am mentoring several prospective chiropractic students in my community. Meaning I encourage prospective chiropractic student candidates to seriously think about attending chiropractic school themselves. Why? Because chiropractic has a great future, as it helps people naturally, without drugs or surgery. It seems the public is “waking up” to the fact that there are many health alternatives than the standard drugs and surgery. 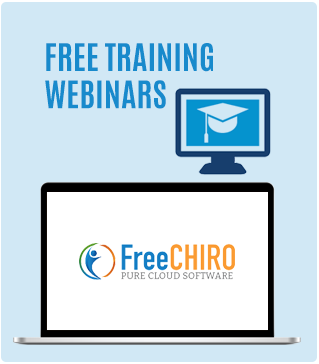 Click here to try FreeChiro for free.